If you're sure you're ready, then here's Max's Fiendishly Clever Dog Quiz No. 2. It gives you the chance to pit your wits against Max in a test all about our Canine Companions. By the way, if you haven't already done Max's Dog Quiz No. 1, we suggest you click here and try that one first before attempting Dog Quiz no. 2 - which is even harder! Once again Max has thrown in a couple of tricky ones to try and catch out any human smart A's out there.....! Dog Quiz Question 1: How many times are dogs mentioned in the Bible? Question 2: The Beatles song "Martha My Dear" was written by Paul McCartney and inspired by his dog of the same name. What type of dog was Martha? Question 3: Are dogs completely color blind? 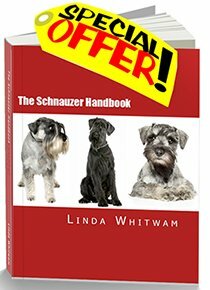 Question 4: What country did Schnauzers originate in? Question 5: According to an American Animal Hospital Association poll, what percentage of dog owners admit that they talk to their dogs on the phone or leave messages for them on their answer machine while away? Question 6: According to Greek literature, when Odysseus arrived home after an absence of 20 years disguised as a beggar, the only one to recognize him was his ancient dog. What was the name of the dog? Question 7: Through which part of their bodies do dogs sweat? Question 8: A human being has approximately 5 million scent receptors in their noses. How many do dogs have? Question 9: What breed of dog did George Washington take to the hunt? Question 10: The Mayo Clinic Sleep Disorders Center did a study on pets belonging to 300 people. What percentage of dogs snored? 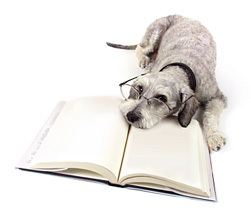 How do you think you’ve done in Max the Schnauzer's Dog Quiz? Here are the answers to our canine conundrum.